Newborn kittens, a puppy searching for owls, and clever raccoons - the latest news from Companion Animal Psychology. “in a last-ditch conservation effort, a crack team of Canberra researchers plan to harness Zorro's superior canine nose to help find and monitor Tasmania's masked owl.” Scientists want to train this puppy to save endangered owls. Meanwhile, sniffing out error in detection dog data looks at the issues that can cause dogs to identify the wrong kind of poop. You will learn something new about coprophagy (poop-eating). How kittens go from clueless to cute. A fun article (with lots of pictures) on Kitten Central, newborn kittens, and a new project by Dr. Mikel Delgado that is looking at whether incubators can help orphaned kittens. “As the floodgates of genomic information open, society will often find itself grappling with the question of how to clearly and accurately present that information to the public.” Jessica Hekman on the unkept promises of pet genetic testing. Eileen Anderson has put together a super resource on the fall-out from the use of aversive methods in dog training. It is in two parts: a list of the potential types of fallout (with references) and a list of scientific studies on dog training methods. Thanks to Eileen for including my JVB paper in the list and links to some of my blog posts! Puppy socialization with Dr. Christopher Pachel at Your Family Dog. Colleen Pelar and Julie Fudge Smith speak to veterinary behaviourist Dr. Christopher Pachel about puppy socialization and the things that can go wrong. It’s the first of two parts (podcast). The Comedy Wildlife Photography Awards. The Guardian shares some of the photos from finalists and they will surely make you smile. Toronto built a better green bin and – oops - maybe a smarter raccoon. Is it possible for clever raccoons to get into the new raccoon-resistant bins? Amy Dempsey reports, and this story has the video proof too. We met the world's first domesticated foxes. This Youtube video from Verge Science looks at the domesticated fox, investigates how friendly they are, and speaks to Clive Wynne and Anna Kukekova about the science behind the Russian fox experiment. 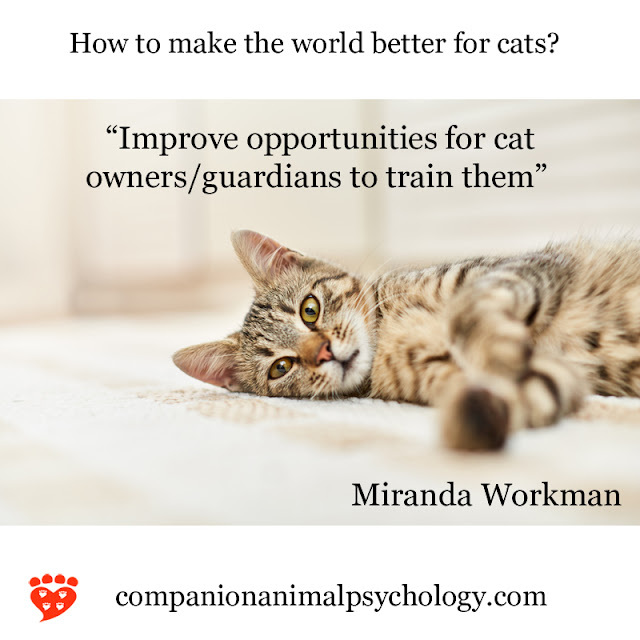 Companion Animal Psychology brings you evidence-based ways to have happy dogs and cats, and reports the latest science on companion animals. It takes me a long time to prepare and write each post, and I would love to have the time to write more. 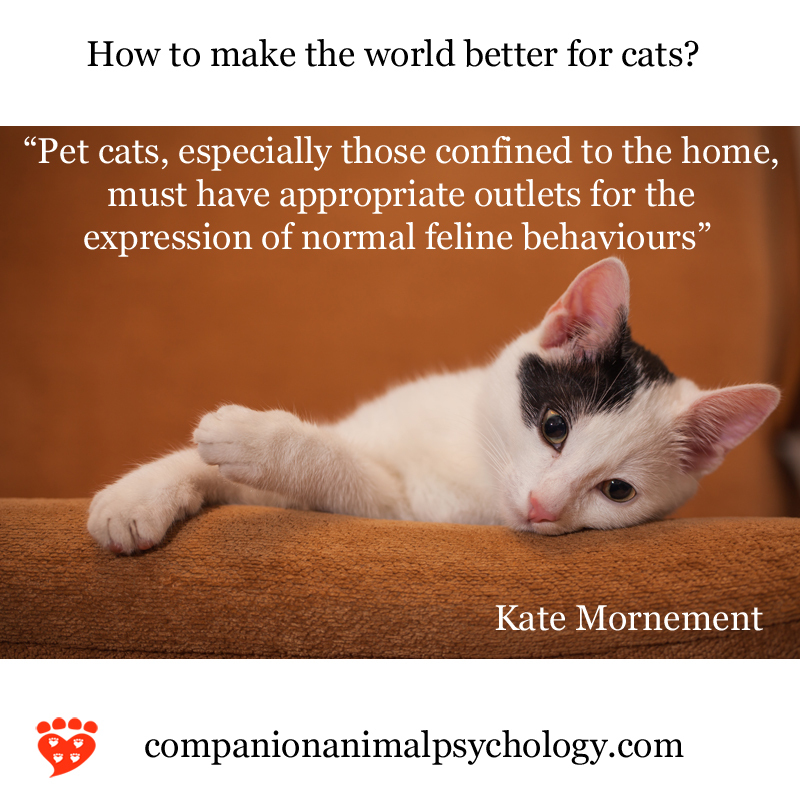 If you love Companion Animal Psychology, you can support me on Ko-fi. (Ko-fi does not charge fees). A heartfelt thank you to everyone who has supported me so far. It makes my day when I get a message that someone has bought me a coffee on Ko-fi! 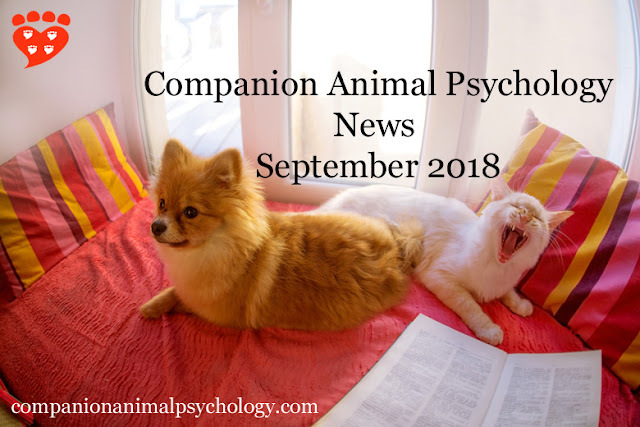 This month, the Companion Animal Psychology Book Club is reading Pit Bull: The Battle over an American Icon by Bronwen Dickey. Full of the history of this much-maligned breed, it’s an important read for dog lovers, however you feel about pit bulls. It takes a close look at the societal factors that led to moral panic about pit bulls. A heads-up for newsletter readers: The book club will be accepting a few new members at the end of the month, in time for next month's book The Dog: A Natural History . If you're hoping to join, keep an eye on the book club page for the announcement, and respond promptly when you see it as places are limited. 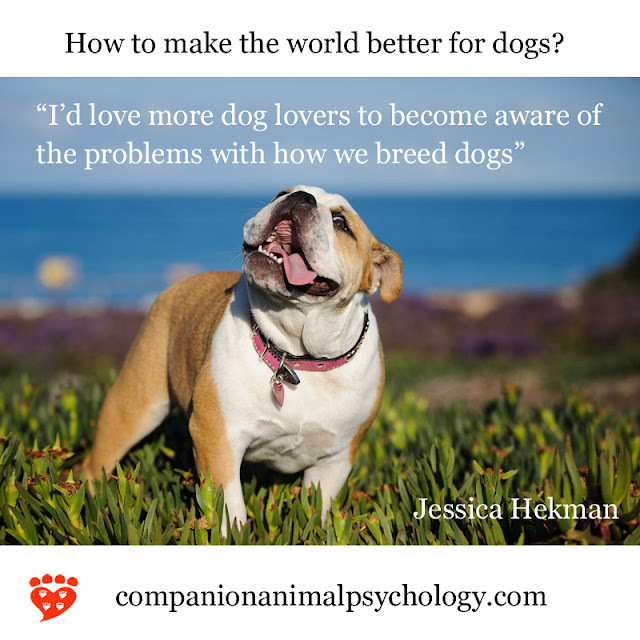 My latest post at Psychology Today looks at a new study from Mexico that finds well-behaved dogs have happier owners. 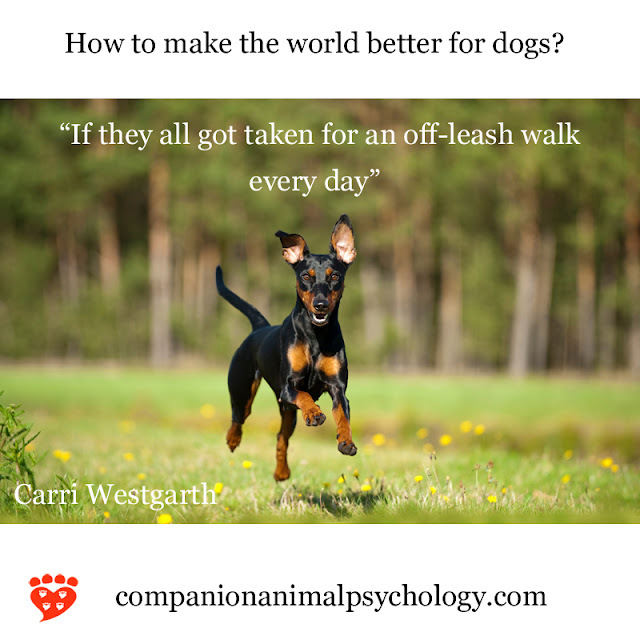 Although the study itself shows correlational data and not causality, it's a good reminder that we can do something to resolve canine behavioral issues and it can benefit both human and dog. I took a bit of time off in August, and published a summer reading list full of the books I was looking forward to reading. Well, I’ve read a lot of them but I’m still working my way through the list. I looked at whether an “ease of care” labelling scheme might help the welfare of exotic pets by designating them as easy, moderate, difficult or extreme. And this week’s post on shock collars, regulation and education on the alternatives looks at a study in France that finds electronic collars are not as effective as many people think. It’s another scientific paper that calls for a ban. This month's post from the archives is can dog training books be trusted? What do you think, and which dog training books are your favourites? 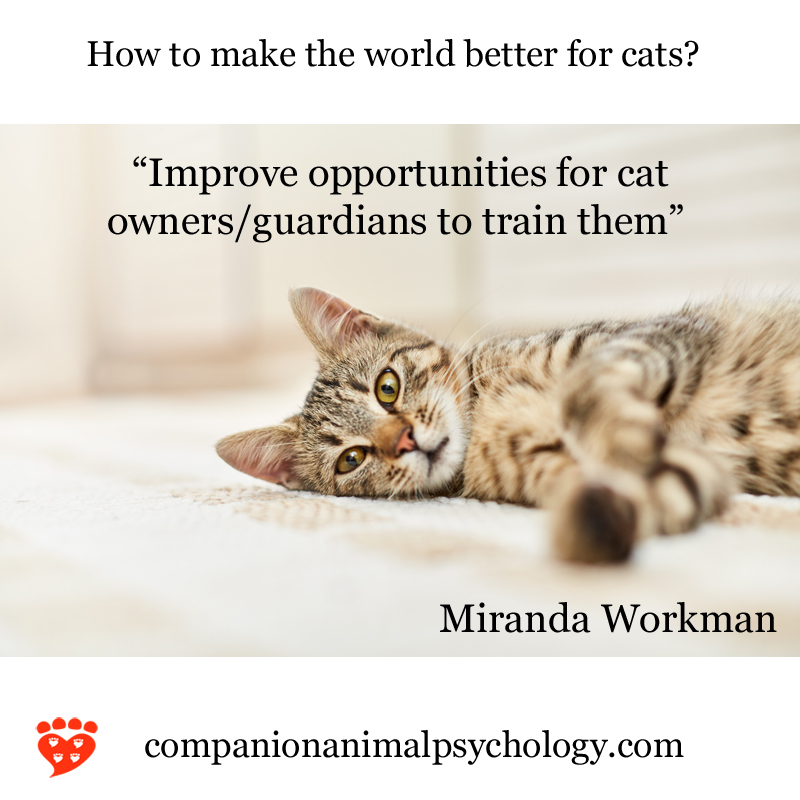 These are the latest images from the series about a better world for dogs and a better world for cats.